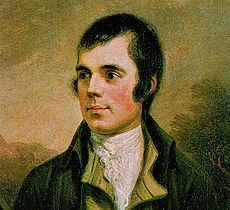 Robert Burns Day is actually January 25th but any day around that time is okay to celebrate the birthday of the Scottish poet who wrote Auld Lang Syne and Comin’ Thro’ the Rye. No party is complete without whiskey, poetry, and haggis (sheep innards, onions, fat, and oatmeal cooked in a sheep’s stomach). Not all Scots like haggis, mind you, but many will force it down as a national duty. Let me know if you agree. Although we don’t have a drop of Scottish blood in our family, we did find frozen haggis at a Scottish butcher on Weston Road once. We cooked and ate it, and chalked it off our multicultural list of things to do. If I get invited to a Scottish feast, I’ll eat it happily, but the rest of the family said alas, nevermore. The Reference Library seems to be the only place where the celebration is free. Marla Brennan in traditional kilt and tam will celebrate in poetry and song and teach you Scottish brogue. It’s on Tuesday, Jan. 18 at 1pm. 789 Yonge Street. Tel. 416-393-5577. If you want to pay, look up “Robbie Burns Day Toronto” on the web for a long list of places where you can raise a glass to Scotland favourite son and see the elaborate ritual associated with the opening of the haggis with a sword.